Continue on to see the press release and video courtesy EA SPORTS. One of the most iconic athletes of all time is coming to EA SPORTS™ UFC® 2. 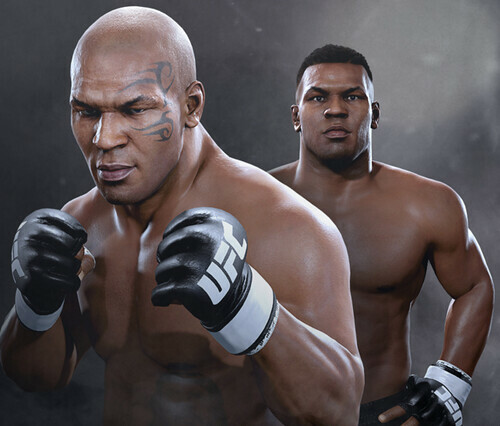 Electronic Arts Inc. (NASDAQ: EA) announced today that Mike Tyson will make his mixed martial arts debut as an unlockable fighter when the game comes out starting March 15, 2016. Fans who pre-order EA SPORTS UFC 2 will get instant day-one access to Tyson, and all players can unlock him by progressing in the game and making it to the Hall of Fame in Career Mode. The former undisputed heavyweight boxing champion of the world packs the strongest punching power of any fighter in the game and will fight across two different weight classes: light heavyweight and heavyweight. For a first look at the former champ in EA SPORTS UFC 2, watch the Mike Tyson reveal video. LMAO - can you say gimmick? Nah, I think it's cool to play the what-if game with Tyson in the UFC. He also fits in well with the new Knockout Mode. It's definitely a nice marketing ploy, but he fits in more than, say, the Terminator in WWE 2K. The bigger question is how they rate him and if he'll be overused in online play. Anything is better than the Terminator for 2K. That was dumb. Was thinking the same actually. Though not sure if I'll buy the game, that is pretty cool. It's funny because in the first version of the game my created player was pretty much the Mike Tyson version of the UFC. I wasn't going for that but now thinking back that is what he ended up being. All my skill stuff went to boxing related attributes.